Once upon a time, a few folks started in a small office space just outside of Urbana. One new hire led to another, and pretty soon we had to use some of the warehouse space in order to accommodate our growing customer service staff. 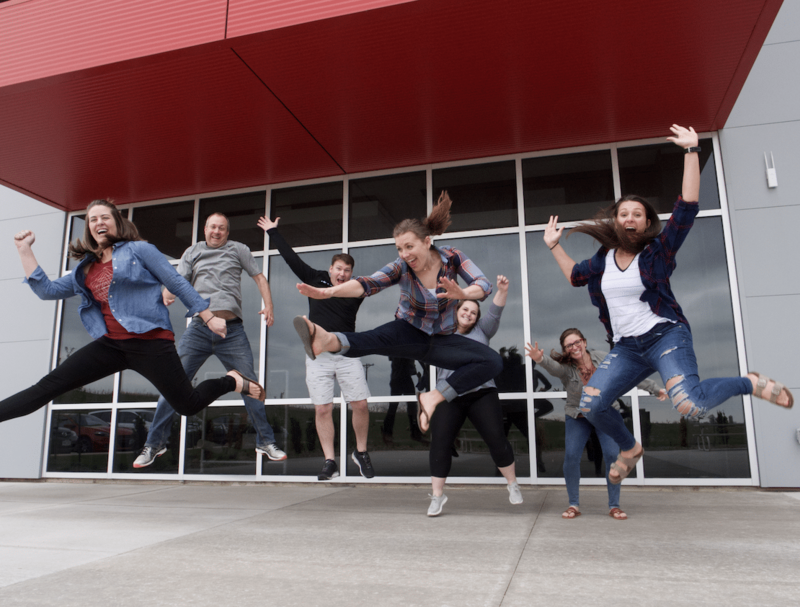 An additional warehouse was built next to the office for inventory and fulfillment, and then we repeated ourselves, this time adding more folks to our marketing staff. In a span of three short years, people space and breathing room quickly became a premium. In 2010, the wheels started turning on plans to put down our roots on a roomy nine acre lot just down the road. We all couldn't help but have the “Build it and they will come...” line from the movie "Field of Dreams" in our heads as the new facility progressed along in the middle of a cornfield. Perhaps because our current building was situated on a lane named after local farm boy-turned-baseball legend Bing Miller, it seemed like destiny. In March 2011, we all moved into our brand new $2.5 million dollar, 35,000 sq. ft. facility on Blue Creek drive, boasting 12,500 sq. feet for the office area and 22,500 sq. feet for warehousing and fulfillment. Just 16 short months after moving into the new facility, the old problem of running out of warehouse space began to reappear. By summer 2012, a new addition to the warehouse (nearly 43,000 square feet!) was going up and was completed by the end of the year. In just two years, Clickstop doubled in staff and needed to expand again! Our latest building project finished in June of 2017. We're now housed in a 135,000 sq. 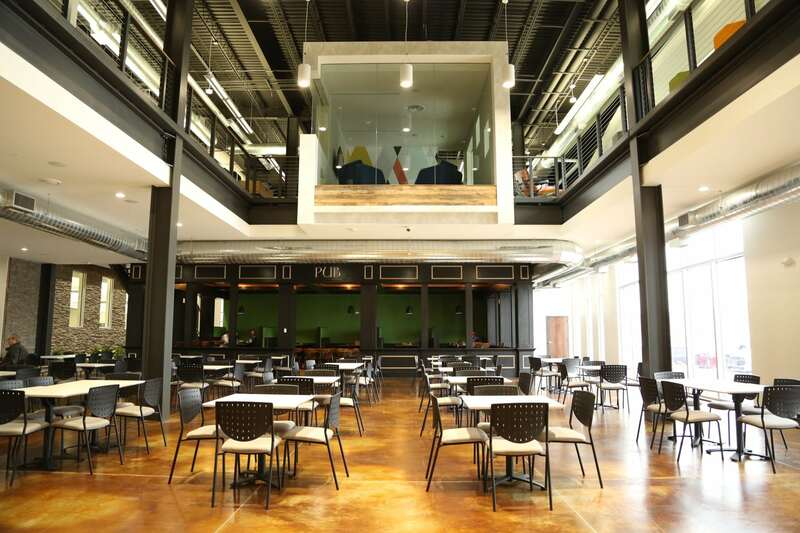 ft. facility, incorporating a variety of workplace elements to ensure employees and guests find enjoyment, connection, and collaboration on site. Onsite Restaurant, Fuel. 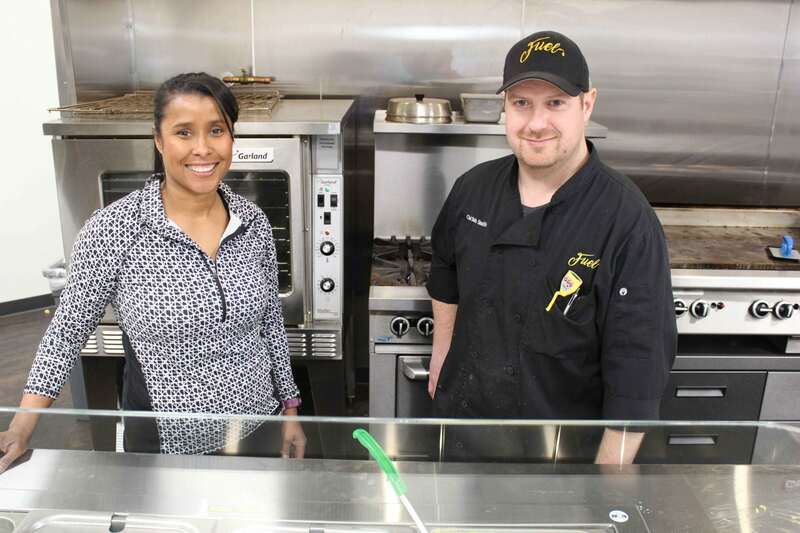 Complete with our very own professional chef, Fuel includes a full-sized commercial kitchen where Clickstoppers can enjoy healthy meal options through a convenient online ordering system. Fuel focuses on crafting meals made with whole, minimally processed food. Roomy Workspace. 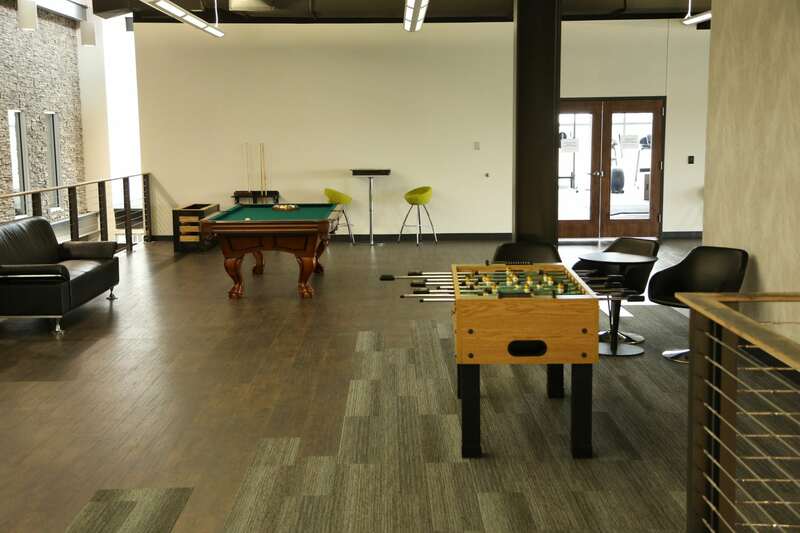 The main work floor is full of natural light, modern desks, plants, and wi-fi access everywhere you go. Our campus was designed to accommodate Clickstoppers who need quiet, focused space as well as dynamic fast-past collaboration. Photo/Video Studio. With the wide array of products we sell, photographs and videos are key to making sure a customer sees exactly what they're getting. We built our own studio in the facility where we shoot everything from d-rings to storage furniture. Patio Area. This spot is the perfect place for a morning department meeting, a fun lunch gathering at noon, a game of bags to shake off an afternoon slump, a company cook-out on a summer night, or even some snowman building in the winter. Grill, picnic tables, bags board, frisbees, snow, and fresh country air provided. Fitness facility. When you need a brain break during the day a workout is a great way to clear your head, we have a fitness facility with cardio machines, weight sets, and a video system to entertain you during your workout. Or take it outside, our office is just a quick hop away from the Cedar Valley Nature trail or walk 'around the block' in the industrial park. Afterwards hit the shower and clean up. Game Room. Pool table? Check. Ping pong table? Check. Foosball? Check. A place for a little friendly competition between co-workers? Absolutely! This popular hangout is always evolving, and you can almost always find someone getting to know their coworkers better through a quick game! Customer entrance. Although we do a lot of business online, that doesn't mean our door isn't always open to our local customers. We have a special entrance just for them where we can take and fulfill orders as needed. If you live nearby and want to save shipping costs on your next order, call in and let us know you want to pick it up.